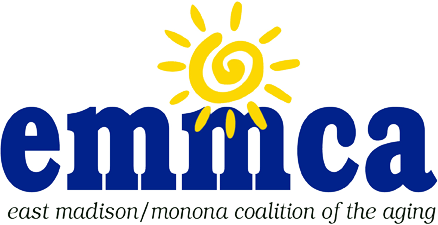 The Day Center is located in a lovely house overlooking Lake Monona. The living room, kitchen, indoor and outdoor actvity areas are set up much like a residential home but with an added emphasis on comfort, safety, and convenience for older adults. Staff, volunteers, and other guests provide opportunities for companionship or entertainment and lead games or crafts. The Day Center's experienced staff members provide individualized attention and programming geared to the needs of each participant. EMMCA's high staff/volunteer to participant ratio provides quality care for each older adult at the Day Center. Daily activities may include music, board games, word games, cooking, gardening, arts and crafts, group discussions, special entertainment, and community outings. Daily gentle exercises or chair-chi help seniors maintain flexibility and muscle strength. Well-balanced lunches and snacks help seniors maintain nutritional health. The Day Center's staff members keep up-to-date on issues and trends in adult day care services through continuing education and professional associations. Clients with an income at or below 400% of the federal poverty guideline, who are paying directly for Day Center care, may apply for a sponsorship to reduce the cost of care. 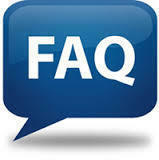 Enroll within 2 weeks of your tour and receive a 25% discount on your first month of Day Center care. For more information call (608) 223-3100. Come experience the fun we have to offer! In the last years of her life, my mother, Mary Ellen, had to deal with many physical and cognitive challenges, which limited her ability to live the life she had known for 80 some years. Even as her memory failed however, she still enjoyed living in the moment. She had the good fortune to attend the EMMCA Adult Day Center during this time and thrived on the attention she received there. She enjoyed seeing other people and participating in group activities. She was encouraged to try things there that she might have resisted doing alone at home with me. She also benefited from those moments when she received one on one attention. Often, when I would come to take her home in the afternoon, she seemed more alert and refreshed.